Their home is their sanctuary. They’ve put time and effort into surrounding themselves with “happy messages” that make them feel safe and secure. Entering a new location absent of their familiar “happy messages” can be disorientating and confusing for them. Add to this the process of moving; seeing you pack up your stuff — which is their stuff too — and put it into boxes, lots of strange people coming in and out of their home, no attention from you for a couple of days…and you’re left with one very unhappy kitty. Thus it’s important to take special care of your kitty before, during and after the move. 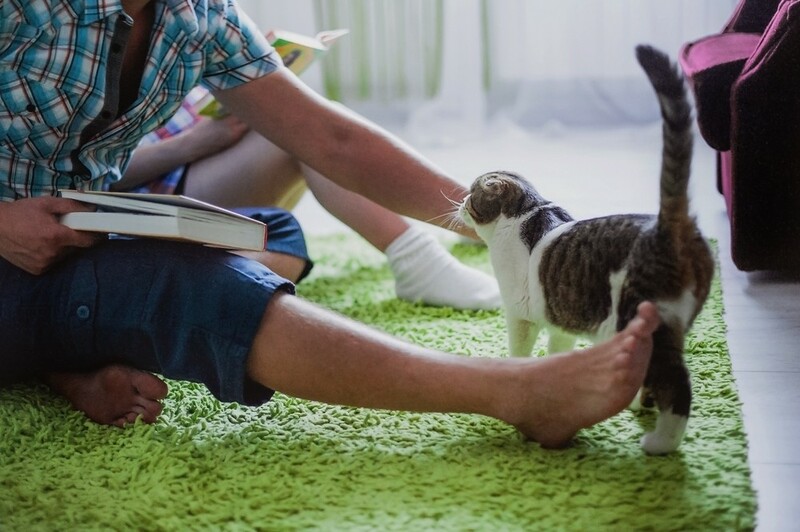 Our veterinary expert Dr. Alexandra Beck shares her top tips to help make the big moving home for your cat easy and for everyone involved. Plug a FELIWAY CLASSIC Diffuser into your current home as soon as you start preparing for the move and changing your daily routine. It can really help to comfort your cat before you move house. Help kitty avoid the intrusion of strange removal men and the associated noise by keeping them in one of the rooms that has already been cleared. Leave all of their essentials (water, bedding, toys and a litter tray) in there too in case they are needed. Make sure the removals team know the door of that room must be kept shut, to avoid any last minute getaway attempts! Spray FELIWAY CLASSIC into their travel carrier and leave it wide open in the room. This will give them a chance to go behind enemy lines and to explore and familiarise themselves with this strange contraption. The “happy messages” released by FELIWAY CLASSIC will make the carrier feel safe and comfortable, which will help keep them calm during transit to the new house. The result? A fuss-free journey. To prevent motion sickness, feed your cat when the birds start singing (i.e very, very early). Do not leave any food out around the house that they might be able to get their paws on — their stomach should be completely empty when travelling. They should, however, still have access to water. Identify a room where you can leave your cat with all their essentials and try to keep them in this in this room, and this room only, for the first few days without access to the outdoors. Tricky we know, but they will feel safe within a confined space and it will give them the opportunity to slowly familiarise themselves with the new sounds and smells. It also gives them a room of their own to use later as a refuge. Try to unpack most of the house before you let your kitty wander. As much as they usually love to help you pack, they won’t be much use after the big move. 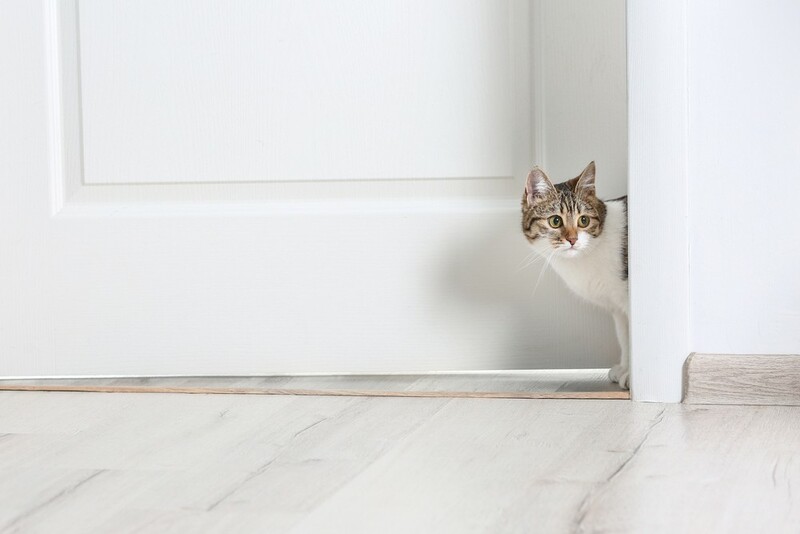 As soon as your cat seems comfortable in their first room, you may open the door and allow them to explore their new pad. If you have access to the new property a few days before the big move, plug a FELIWAY CLASSIC Diffuser in the room where your cat will stay for the first days. It will help your cat settle. Your cat will feel comforted by the “happy messages” being released and start to feel at home straight away. It's one thing you can expect when using FELIWAY. And that's not all. What can I do to make sure my cat settles in comfortably? Knowing your cat and their personality — confident, social or shy — will help you determine what their individual needs are. Some cats will settle quickly into their new home and saunter around confidently within the first few days. Others may take a bit longer to become accustomed to their new surroundings. Cats use their acute sense of smell to figure out whether something is safe or not. Placing their favourite blanket or a jumper that smells of you in the room will mean it immediately smells familiar and will remind them of cuddly times with you. In addition to this, provide duplicates of their daily essentials (litter, food & water bowls, toys, scratching post, bedding) and place them around the house. When your cat is ready to investigate, these will help them feel at home in any location. Let them explore on their own and in their own time. If they decide to hide under the bed, let them be. They’ll eventually come out when they feel it’s safe. FELIWAY CLASSIC Diffuser has been proven to help cats adjust very quickly into a new home and make moving home with a cat easy. This can easily be assessed by keeping an eye on the following: whether they are eating normally, sleeping in relaxed postures and interacting with you. Leave the FELIWAY CLASSIC Diffuser plugged-in continuously for at least one month. Then, to give your cat more time to adjust to their new environment — all cat’s have different personalities — you may use monthly refills as needed until they seem perfectly comfortable and happy. Also, when you give your cat access to the garden, if you have one, FELIWAY CLASSIC has been proven to make recently moved cats come back home every night after outdoor exploration — even when it’s a new home! Give them plenty of time to adjust, it will be just as big a change for them as it is for you! And remember, they weren’t involved in the decision to move home! Moving house is a BIG deal for your cat.